Find Retrievers.com News & Articles » Blog Archive » Congrats on a Very Special Weekend! 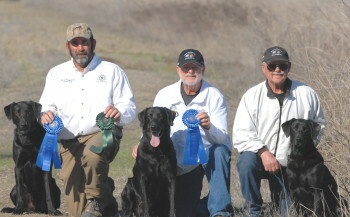 A very special weekend unfolded last week in Gridley, CA, at the Sagehens Retriever Club Spring Field Trial. Valentines Weekend brought a dream come true for a special family of retrievers. First, FC AFC Tealcreek Patton’s Saber won the Open with 89 dogs entered! Saber is owned by Chris and Portia Hatch and has had a long and consistent career of All Age Wins. Saber has 3 DOUBLEHEADER WINS (Idaho Summer, Lassen Spring 2013 and Shasta Cascade 2011) and is a 2011 National Amateur Finalist. AFC Flyway’s Long Tall Sally placed second in the Amateur and is also owned by Don and Helen Graves. She is also qualified for the 2014 National Amateur Championship. 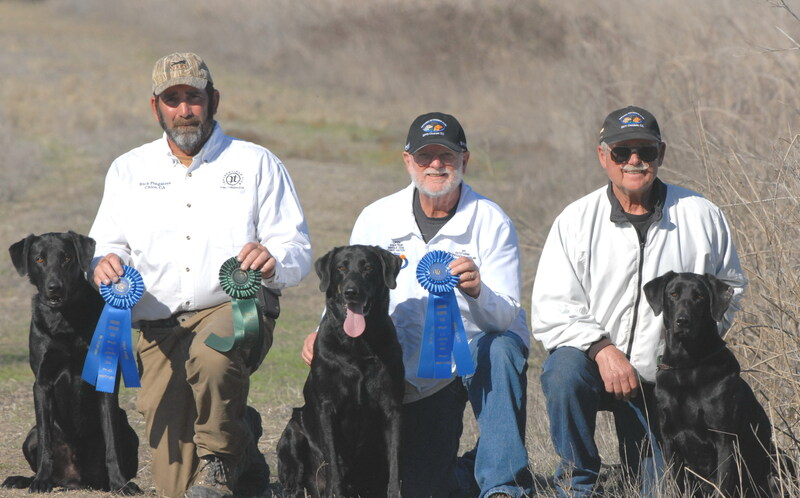 Congratulations to these very special dogs trained by their Amateur owners!